Students and parents, along with members of the community, will have the opportunity to access expert advice on all aspects of university at the Year 9 Options Evening being held this Thursday. 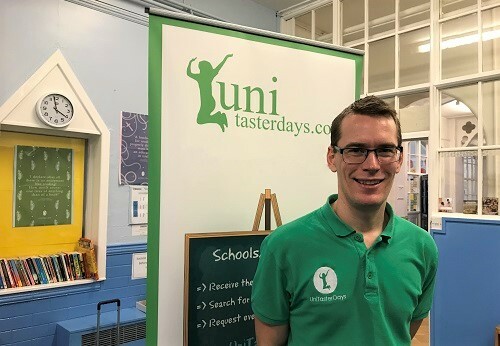 Jon Cheek, from UniTasterDays, has been invited to deliver a short talk during the event and will also be available on a stand for one-to-one discussion. The aim is to clarify key areas, including flexibility around GCSE choices and post-16 options with university in mind, myths around student fees and finance, and why students may wish to go to university. Jon will also provide an overview of the aspiration-raising activities planned for Year 9 students later in the year. The Year 9 Options Evening takes place on Thursday 14th February, from 5.30pm to 7pm in the Old Hall.